Hi everyone!! I hope your week has been going well-I've fallen off the budget pedestal somewhat lately and will share my spoils of what I've been thrifting in future posts. 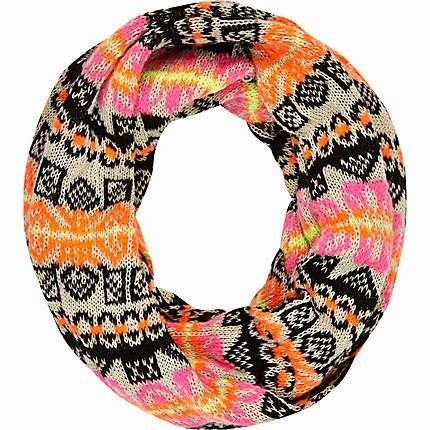 As you can see there is a really great selection of Fair Isle items for all tastes and budgets and if sweaters aren't your thing then there are plenty of accessories such as hats, scarves and gloves on the High Street in a range of lovely patterns and colours. I also love the cute little pockets on the front and the assortment of different colours in the knit-it will definitely be a versatile item to wear this season! I hope you all have a great weekend and I'm also linking this post to the lovely Claire Justine for her Friday blog hop, take care all!! Cute, totally loving this style! Great find again Sharon, that will look perfect on. This is a gorgeous find! 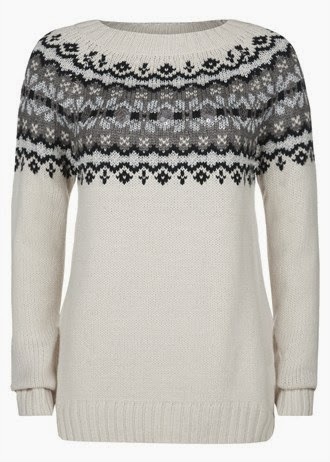 I love fairisle but somehow never found the right piece.